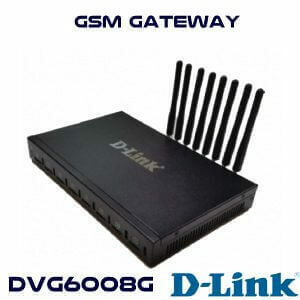 D-Link DVG-6004G is a GSM VoIP Gateway with 4 SIM Card support with a built-in antenna. DVG6004G is highly cost-effective and compatible with any SIP IP PBX. The D-Link DVG-6004G GSM VoIP Gateway is a product with lots of features and functions with easier installation and maintenance. 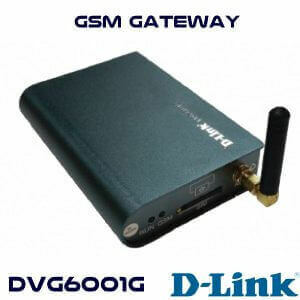 Dlink DVG-6004G is a 4 SIM Card supported GSM Gateway. It allows the organization to connect the GSM Network to VoIP networks to provide two-way communication. The DVG6004G offer Simple and intuitive Web-based configuration saves you loads of time. DVG-6004G is SIP Protocol supported and compatible many Soft switches and IP PBX Brands which support SIP Protocol. 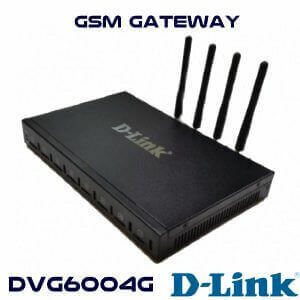 The D-Link DVG-6004G is a GSM VoIP Gateway designed with many functionalities es along with built-in antenna, power barrier for space saving, easy to install and low maintenance. It is a user-friendly gateway used to efficiently implement the smooth switch between mobile and VoIP network. The D-Link DVG-6004G GSM Gateway can integrate well with known ITSPs, connect to your office on the Go, Expand your existing analog telephony infrastructure, and SIP Trunk. The DVG-6004G is a user-friendly VoIP gateway which has all functions and features which are important for users who expect an extra ordinary voice communication.